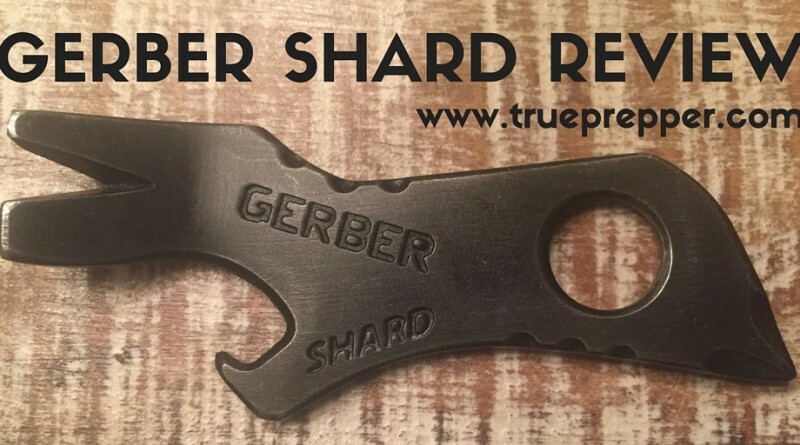 I have been using the Gerber Shard for several years now, as part of my EDC. 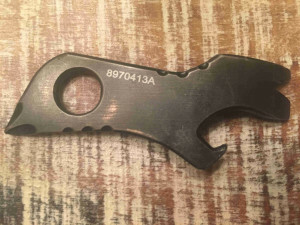 This little hunk of metal is extremely useful and saves my blade plenty of tough work with the prybar. The prybar and flatheads are great for ripping through packing tape, prying nails, and conveniently dealing with screws. I do not use the bottle opener as often, but it works great when I do use it. 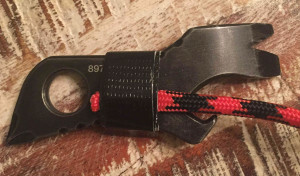 The lanyard hole makes the Gerber Shard easy to tote around on a keychain, which is where I keep mine. The Phillips head driver works great also, if you are lucky enough to have a Phillips screw the same size and easily accessible. The one piece of functionality that is not the greatest on the Gerber Shard is the wire stripper. It may work if you have no other tools, but a knife or actual wire stripper with a blade work much, much better- especially in wires with thicker gauges. It is hard to come up with other shortfalls, since the little one piece multi-tool is great with the functionality it provides. The ergonomics of it could be considered a pitfall, but at it’s size and weight that may be too much to ask of it. SG: I bought the Gerber Shard on Amazon several years ago when I decided to quit carrying my Leatherman multi-tool everyday. I replaced the multi-tool with the Shard and a small Swiss Army knife, and have not regretted the change to my EDC kit, since I was trying to go lighter and less obtrusive. 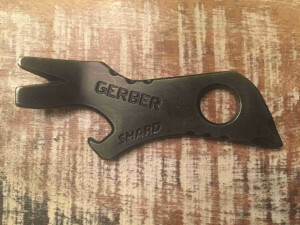 As a key chain, I have used the Gerber Shard to open packages, handle countless flat and phillips screws, pry nails, and open beers. It has performed great, and is a great one piece multi tool for the price. I did add 550 cord and some duct tape to it for additional functionality, and of course because it gave it a sweet tactical lumberjack look. 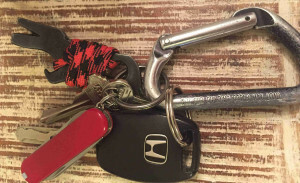 I didn’t mind the bright color on the 550 cord since it is attached to my keys and I am usually trying to find them rather than hoping they will blend in. I ended up with about 7″ of cord and 6″ of duct tape on it- enough for small uses. The Gerber Shard is an Every Day Carry homerun. It is nearly indestructible, and well worth it’s price tag in usefulness. 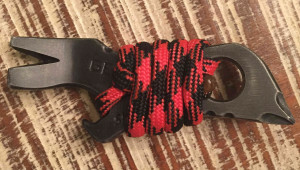 When paired with another multi-tool or blade it can be the completing piece of your EDC kit. We highly recommend it here at TruePrepper, and we all thoroughly enjoy ours.